Mark Ralph and his prize catch. 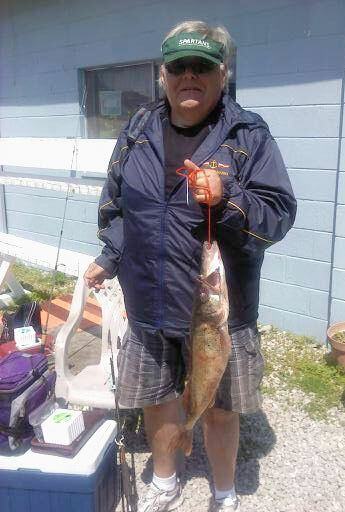 To wind up the cluster season, the pastors of the Findlay cluster spent Thursday, May 29, fishing Lake Erie. The winner of the largest walleye caught goes to Pastor Mark Ralph, pastor of Mt. Zion United Brethren Church in Wayne, Ohio. Mark caught a 22.5 inch walleye and broke his pole doing it. Congratulations, Mark! 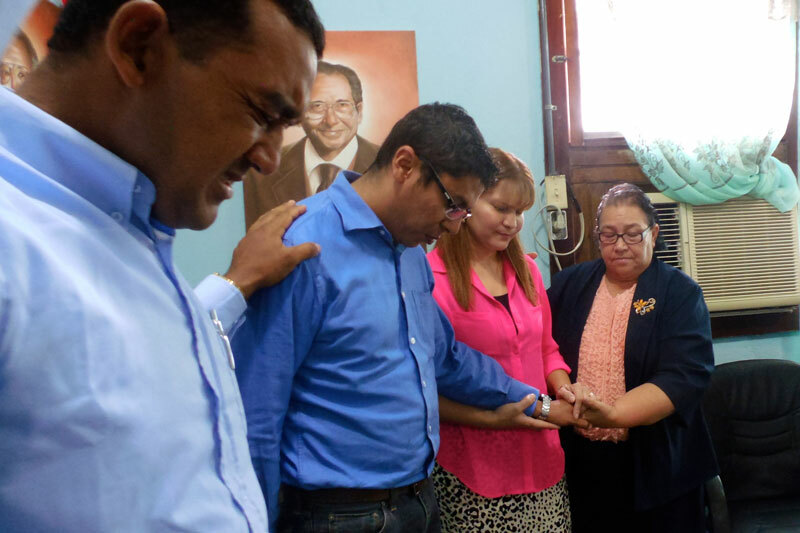 Commissioning the Pachecos–the first missionaries to be sent from Honduras Conference. 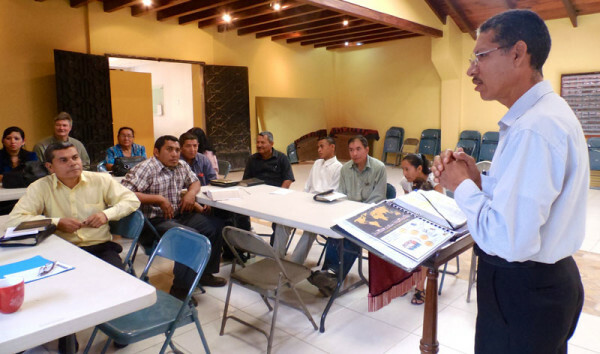 During the recent gathering of the Honduras Administrative Board, a new item of business appeared on the agenda. They were interviewing a couple for missionary service. Since United Brethren ministry to Spanish-speakers began in 1951, Honduras National Conference has grown to more than 115 churches, an international school, a retreat center, and a theological institute. They sent one short-term volunteer to Haiti to participate with Canada in a construction project, but sending missionaries overseas has been an ambition yet to be fulfilled. The “junta” (their governing body) interviewed and approved Milton and Erika Pacheco for ministry in partnership with Global Ministries. The location is yet to be confirmed, but Thailand is a serious consideration. The Pachecos are active members of their local UB church. Milton has an undergraduate degree in business administration and a graduate degree from the conference seminary. He currently works for Habitat for Humanity, and he regularly ministers as a singer/songwriter in local churches. Erika is working this with Marilyn Reeck this summer with the Summer Institute of Linguistics. Both Milton and Erika plan to spend about a year at Huntington University studying missions before going overseas. Although they will serve with Global Ministries, they will be considered missionaries of Honduras National Conference. Global Ministries’ goal is to serve as partners and facilitators in the process. BILD training in District 8 of Honduras Conference. Honduras National Conference wants to get all of their churches involved in a new approach to discipleship, leadership development, and church multiplication. The conference is divided into 11 districts. This past week District 8, in south-central Honduras, was the last to officially join in. The program, known as BILD, emphasizes the centrality of the local church in making disciples, training leaders, planting churches, and sending missionaries. As a result, discipleship is not a one-on-one function, nor is theological study institutionalized. Rather, these and other multiplication activities are church-based. The materials being used are simple in their delivery and yet profound in their depth. Participants who recently completed the discipleship portion and were moving on to the two-year Book of Acts study said they grew immensely through their interaction with the Word in the context of a small group, and felt they were now more competent to live out their faith in word and action. 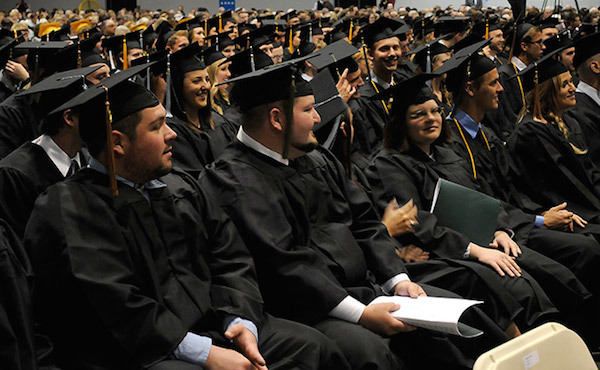 Huntington University honored 279 graduates on Saturday, May 17, during the 116th Commencement ceremonies. 17 Master of Arts degrees. 3 Master of Education degrees. 58 Bachelor of Arts degrees. 2 Bachelor of Music degrees. 167 Bachelor of Science degrees. 20 Bachelor of Science in Nursing degrees. 8 Bachelor of Social Work degrees. 7 Associate of Science degrees. 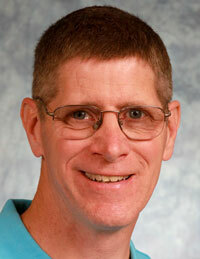 Mike Soltis, pastor of The Bridge Fellowship in Bowling Green, Ohio, is currently undergoing kidney stone surgery. The family would appreciate your prayers. 2014 graduates from the HU nursing department, along with faculty and staff. Seventeen Huntington University graduating nursing students were honored in a traditional pinning ceremony today. The Class of 2014 is the fourth graduating class from the Department of Nursing. The history of the pinning ceremony comes from the Crimean War when Florence Nightingale took 38 women to Turkey to nurse sick and wounded British soldiers. As she cared for her patients by the light of a lamp, Florence Nightingale became known as the “lady with the lamp.” As a tribute to Florence’s dedication, the lamp icon became symbolic of nursing. In the traditional ceremony, the nursing pin is used to signify this same dedication, the end of formal education and the beginning of practice. It is a way of welcoming graduates into the nursing profession. 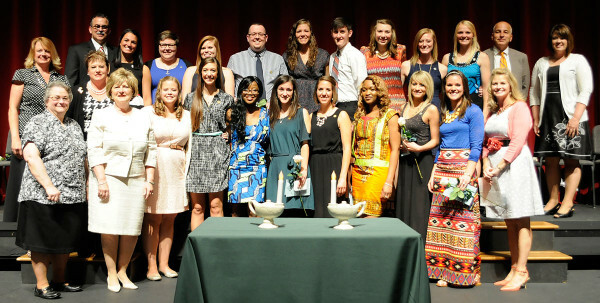 At the ceremony, students received the Huntington University Department of Nursing pin with the department’s emblem. “The pinning ceremony has a distinctive meaning to graduating nursing students as it signifies the end of an intense and rigorous education leading them to the socialization into their chosen careers,” said Dr. Margaret Winter, director of nursing. You can view photos of the individual students on the HU site. Tim Scroggs, pastor of Eagle Quest Church, at the benefit dinner. 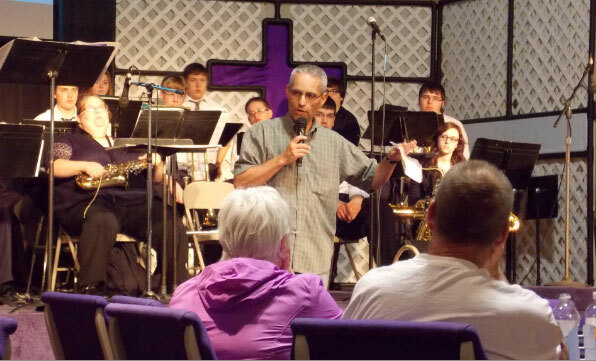 Eagle Quest Church hosted a fundraiser on Wednesday, May 14, 2014, to help provide clean water to Haitian homes. The Water for Life Benefit dinner raised $1250 for Water Project Haiti, which provides pure water filters that are made with materials and labor found in Haiti. These filters remove up to 99% of the contaminants in the water supply, greatly reducing sickness and mortality. Thanks to a matching grant, $2500 will go toward manufacturing and installing 50 filters! Columbia City High School’s Whitley Street Jazz provided great entertainment and Bruno’s Barbeque catered a delicious dinner. It was a memorable evening for those who attended. Many sponsors helped make this event possible. In 2012, we had 211 women attend the conference. This year, we already have 209 women registered…with four months to go! The 2014 Women’s Conference will be held at the Saw Mill Creek Resort in Huron, Ohio (where we held three UB national conferences). The dates: September 19-21. To read more about the conference, and to register, go to UBWomen.org. For several years, Salem UB church hosted a Haitian ministry in “The Chapel,” the smaller of the two buildings on our campus. Most of the Haitians are migrant farm workers who practically live on our doorstep in migrant worker camps. They come to do fruit-picking in the area. We had been longing to impact this community for Christ. The Haitian ministry grew and thrived. Last summer, we helped them take the next step. They are now called “Salem Haitian Congregation.” They hold multiple services each week in a rented facility in downtown Chambersburg, closer to where most of the Haitian community lives. They use the lower level of a Lutheran church. The pastor is Gener Lascase, a Haitian who arrived one fall to do fruit-picking at the migrant camp next to our church. He speaks English well, and started attending Salem. Gener, an ordained minister, indicated a desire to minister to his own people. We let him lead a small Bible-teaching service for Haitians. That grew into a worship service, prayer service, Sunday school–a lot of services on our campus during the week. This continued for three years. We ran out of room. Another problem is that Salem is located well outside of town, and many of the Haitian people had difficulty getting there. Relocating to downtown Chambersburg solved both of these problems. They hold a Friday night prayer meeting, a Saturday afternoon Bible study, Sunday morning Sunday school and worship, and Sunday night worship. Pastor Jason Bakker, the associate pastor of Salem, and I take turns preaching the Sunday night service. They use the Haitian Creole language, so when Jason and I preach, it’s translated. They are very committed and joyful, and outwardly expressive. It makes the rest of us feel pretty lukewarm. They have vibrant services with a lot of singing, testimonies, and very long prayers. They can sing the same song for ten minutes. It’s not Pentecostal, but in the direction of charismatic. Salem Haitian Congregation has 30-70 people at most services. We still get a bump in the fall, when new Haitians arrive from Haiti or Florida to pick apples. A lot of Haitians have moved into Chambersburg permanently, and are seeking employment outside of fruit-picking. We estimate that about 500 Haitians live in Chambersburg. Salem established a Haitian oversight board, and we provide a lot of mentoring and guidance. We’ve provided food and furniture for Haitian families. Some of their kids come to Salem’s youth activities. We are also collaborating with them to rebuild a church-based school in Haiti which was destroyed by the earthquake. Pastor Jason has made a couple of fact-finding expeditions to see how things are going. Pastor Gener is very friendly, warm-hearted, and hard-working. He’s a tent-making pastor, working fulltime in a factory in Chambersburg. He and his wife, Aurora, have five children ages 10-18. He ministers all the time, basically for very little pay. The Haitian church gives Salem a certain amount of money each month for rent, and part of that is turned over to him as salary. So Salem has planted a church! For now, the Haitians operate under Salem’s umbrella as a congregation within a congregation. We hope and pray that in the next few years, they will become a fully functioning United Brethren church in their own right.